The mid-1960s brought a variety of rock and pop groups from the UK over to the US, from The Beatles to The Rolling Stones to The Dave Clark Five. The British Invasion created a cultural impact that still influences musicians today, including Brooklyn’s Best Behavior. The garage pop band released their first album, Good Luck Bad Karma, in 2015 and has played alongside acts such as The Darkness and The Struts. When their EP, Things That Happened, was completed in 2016, producer Justin Gerrish saw one of their live performances and offered to have the band re-record the EP at his private studio. Vocalist Alex Gruenburg didn’t go into writing this record with a theme or message. His writing process involves isolation, playing music for hours alone and coming out with material that he’s proud of. Their reward was released earlier this month; four songs in the form of harmonious vocals and reverb-heavy guitars. It’s the sound they grew up on, the sound they’ve idolized, the sound they wanted to create. 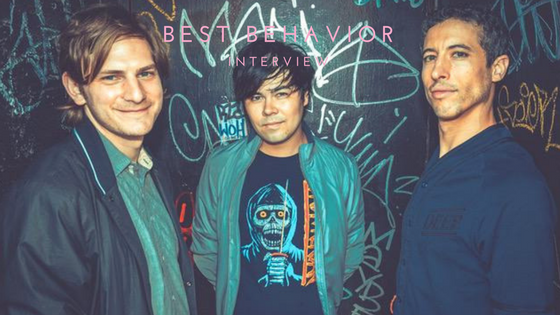 From their British Invasion forefathers to now, Best Behavior keeps the time-honored sound alive.